The place to rest your head. 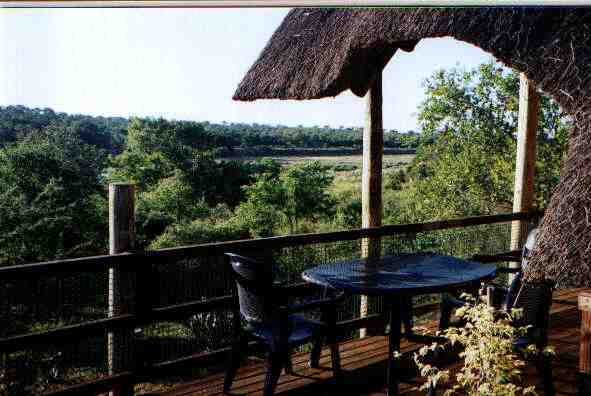 The house, which has no fences, is surrounded by unspoiled African Bush and thus we have regular visitors of Zebra, Kudu, Impala, Waterbuck and Warthog. 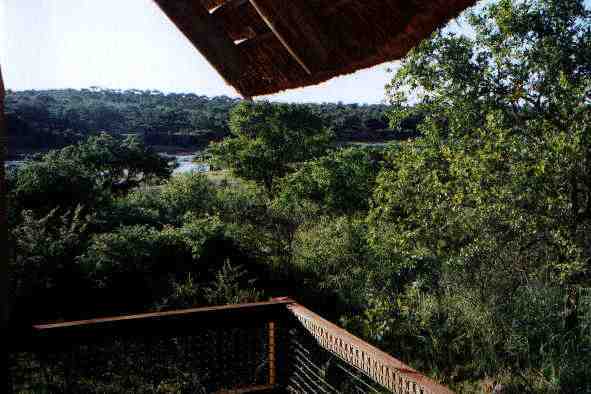 The spacious upstairs veranda and animal lookout deck offers stunning views of the bush and overlooks the Crocodile river and the world famous Kruger National Park. 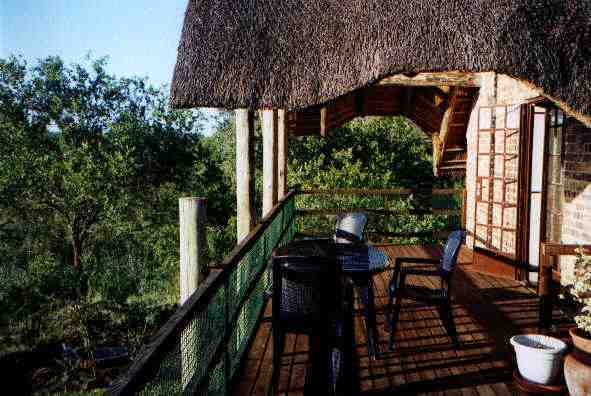 This stunning thatched double storey family holiday home offers guests three comfortable double bedrooms and two bathrooms with shower facilities. Enjoy long cool "Sundowners" whilst experiencing an African Sunset, then marvel at the beauty of a Southern starlit sky whilst listening to the thrilling sounds of Africa. Hippos are often heard grunting nearby and occasionally Lions can be heard roaring in the distance. 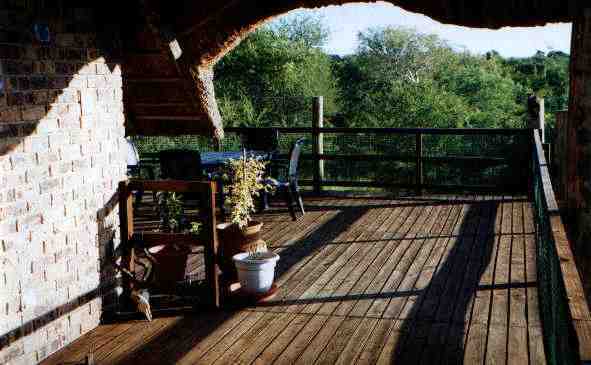 South Africa is one of the most exciting destinations on earth. 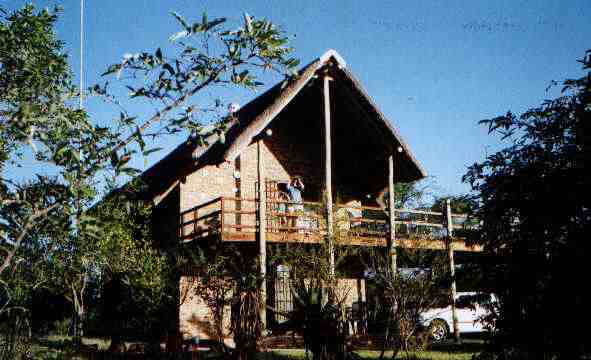 Ingwenya View is a bird watchers paradise where species ranging from the impressive Fish Eagle to the tiny Blue Waxbill are often seen. Our national bird the Blue Crane and the Goliath Heron are also seen occasionally.